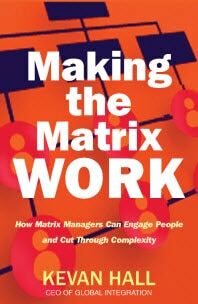 You are here: Home / Skills / Managing in a matrix – we are all project managers now! This is a guest post by Kevan Hall, CEO of Global Integration. Project managers have had to deal with ‘matrix management’ for decades. They have to build the skills to manage short and long-term teams with representatives from different functions, regions and specialisations. The matrix actually first developed as a response to the need to coordinate very complex projects in the aerospace and defence industry. Today, the matrix has grown far beyond the world of project management. In most large organisations there are many structures that cut across the traditional vertical silos of function and geography. Global customers want a single point of contact to talk to; supply chains cut across the traditional functions and even include customers, partners and suppliers. More integrated business functions and business processes mean that this form of ‘horizontal working’ becomes the norm in complex organisations. 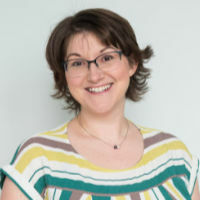 Managers who have been used to getting things done through hierarchical relationships find they need to develop the project management skills to connect people across the organisation. The need to manage multiple bosses, accountability without control, influence without authority and competing goals becomes the norm in these complex, multidimensional organisation structures. We often set up a matrix to increase flexibility and responsiveness, but competing goals can lead to increased confusion and conflict. Despite this, people want clarity of goals and roles and to be aligned with their colleagues. We need both (clarity AND flexibility). But if we could be perfectly aligned, we wouldn’t need a matrix – we could just cascade our perfect view of the world down from the top. We expect a matrix to increase cooperation across traditional silos – but, as always, we need to be careful what we wish for! A matrix can lead to increased bureaucracy and poor quality cooperation. We need to be both connected AND effective. The matrix is particularly used in project management to coordinate complex operations and to manage changing priorities. We have to be comfortable with trade-offs and dilemmas: we need trust and empowerment to succeed but complexity makes control difficult. Trust is harder to build and sustain when we have diverse teams that rarely meet, and communicate mainly through technology. We need a balance of both control and trust. In many cases, the matrix plays into the attitudes and skills that project managers have already developed, but as matrix management becomes more common we need to take our skills up to the next level. It’s not enough to have clear activity and scheduling tools. Project managers responsible for teams that cut across traditional silos are increasingly facing people leadership and collaboration issues. Project managers can no longer simply focus on activity and ignore the issues of community and personal development. This is a real area where project managers will need to grow their skills in the months and years to come to be properly equipped to deal with the challenges of managing projects in a matrix environment. About the author: Kevan Hall is CEO of Global Integration, specialists in matrix management, virtual teams and global working and author of the new book Making the Matrix Work: How Matrix Managers Engage People and Cut Through Complexity .